How do professional photographers blur the background in their photos while keeping the subject in focus? Blurred backgrounds work great for close up photography, portraits, nature, and still life and can enhance any photo that needs attention drawn to the subject rather than the entire scene. By restricting the focus in your photo to a limited area (shallow depth of field), attention is drawn to the parts you chose to focus on, and the background becomes just a wash of colour and light, adding to the mood. Photographic blur is often referred to as 'Bokeh' - a Japanese word describing the quality of the out of focus parts of an image. Here's four photography tips to help you achieve great Bokeh. All you will need is a DSLR, compact camera, or iPhone. Most lenses can produce a sharp subject with a blurred background. For the strongest blur effect choose a lens with a long focal length, a wider aperture, and a close minimum focus distance. For portraits, the Canon EF 70-200mm f/2.8 IS II USM or Nikon AF-S 70-200mm f/2.8G ED VR II is considered among the best to own. More affordable alternatives are also available from Tamron and Sigma. For wildlife, at the extreme end of the focal lengths the Sigma 150-600mm F5-6.3 DG OS HSM C offers beautiful Bokeh at a 'more affordable' price point. See a dog photo shoot with the Sigma 150-600 C.
A good all rounder is the Nikon 50mm f/1.4G or Canon EF 50mm f/1.4 USM which offers the easiest route into amazing blurred backgrounds as seen in the first image below. How do you blur the background in your photo in the camera? 1. Open the aperture wider for a more shallow depth of field. 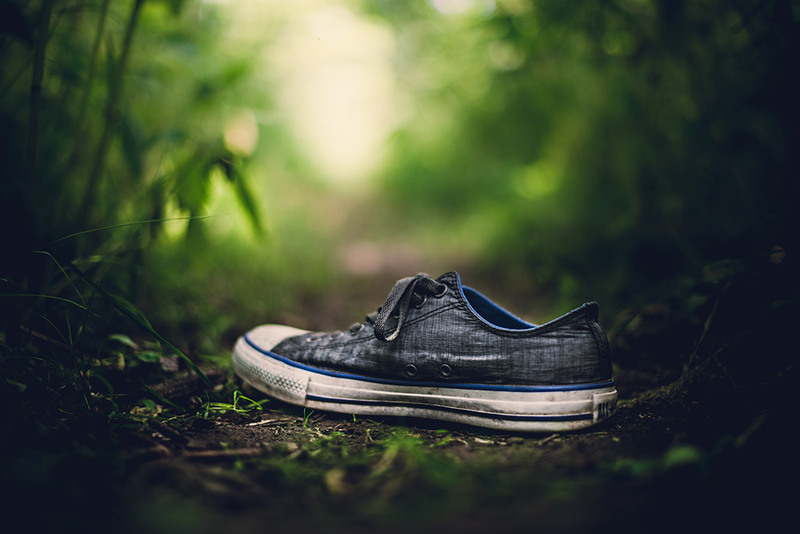 Using a wide aperture (f/1.4) the background was blurred, leaving the shoe sharp. Photographed with a Nikon 50mm f/1.4G. Your camera's lens has an opening for light to enter, this is called an aperture. Most cameras have a variable aperture and allow you to adjust its size by adjusting the f number in your camera settings. At the lowest available f number, for example f/1.4, your lens' aperture will be wide open, at it's maximum, offering you the shallowest depth of field. As the f number is increased, the aperture shrinks, increasing the depth of field. 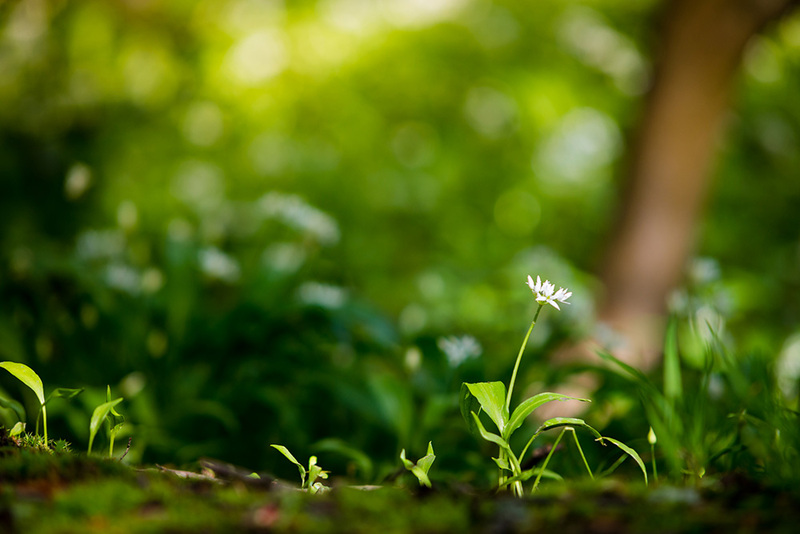 Depth of field is the range of distance that appears to be in sharp focus. More expensive lenses with larger glass in the front can have apertures as low as f/1.2, while kit lenses can be limited to a maximum aperture of f/3.5, or even f/5.6. Most smartphones have a fixed aperture that is already suitable for great bokeh. For example, Apple's iPhones have apertures ranging from f/1.8 to f/2.8. 2. Use a longer focal length to blur the background more. The Brenizer method of photographing subjects uses a longer than normal focal length (or lens) to achieve blurred backgrounds. Using a longer focal length (zooming in) increases the apparent blur in the background. By zooming in, the actual depth of field doesn't change, but the angle of view is much smaller, meaning you'll only capture a smaller area of background. With a smaller angle of view, the rays of light entering the camera are more parallel, and the background appears larger, and less focused. The Brenizer method takes advantage of this by stitching multiple shots together at longer focal lengths, usually with a wider aperture to take the effect to the extreme, so that we can enjoy both the soft background, and the wider field of view. Read more about the Brenizer method. It's worth noting that smartphones don't physically zoom, however many smartphones now include a dual camera setup which allows you to switch to a longer focal length, e.g. iPhone 7 plus. 3. Get closer to the subject for a macro effect. Macro photography uses special lenses to achieve focus much closer than normal lenses will allow taking closeups to an extreme. Alternatively, if you can, move the subject further away from the background for a similar effect. By getting closer to the point of focus you'll increase the effect of background blur. By decreasing the distance to your subject relative to the background the effect is enhanced even more. Macro photography introduces high ratios of background to subject distance by getting extremely close to the subject. Combined with longer focal lengths, and wide apertures, incredibly thin areas of focus can be created. Getting closer to the subject works for any kind of lens or subject. Bring your subject closer to the camera, or further from the background to get that blur. 4. Combine these tips for maximum blur. By using a wide aperture, getting closer and using a longer lens beautiful background blur can be achieved. Choosing a wider aperture, and a longer lens, then getting really close to the details, you'll get maximum blur and really restrict focus to the area you want the attention to be on. By combining these three factors blurry backgrounds and incredible bokeh can be created for any subject. By understanding how to create blur, you can also try the opposite to have brilliant range of focus.